Are you currently looking for ideas for home office decorating? If you are, then you are in the right place. 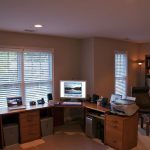 Today, we will take you through some interesting decorating ideas for your home office that will help you create a more appealing workspace without sacrificing on the functionality of an ideal home office. Ultimately, your home office decorating ideas do not always have to showcase a formal look. Your workspace at home can be quite casual and inviting to ensure that you have an enjoyable work space. This way, the stress from your workload can be minimized. 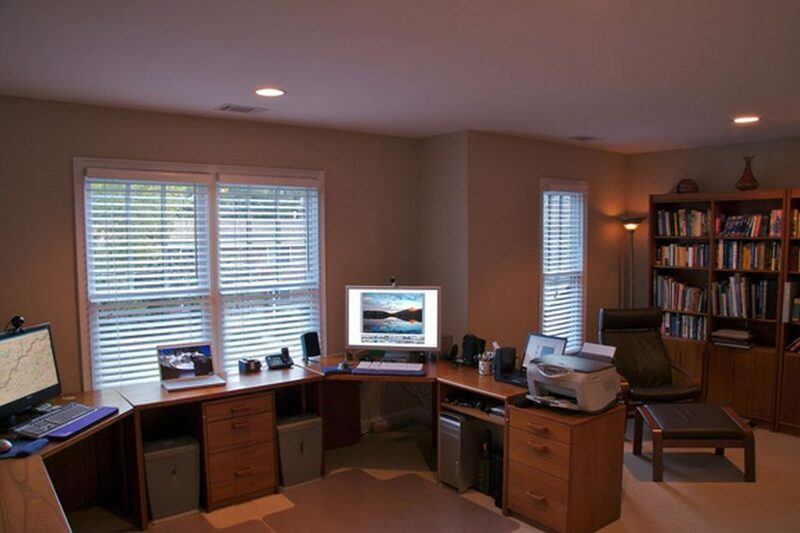 For instance, take a look at this casual home office design above. The minimalist modern style focuses on functionality. The white hues and wooden interior stand out along with an artistic wall hanging above the desk. 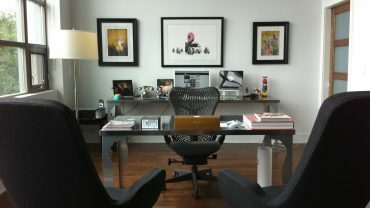 The office above is another awesome inspiration for you if you opt for multi-purpose furniture in a small living place. 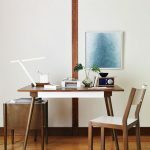 In this airy space, the dining-style table is brilliantly designed to serve as an office desk and is paired with a classic chair that looks stylishly versatile. Another great idea to consider when decorating a home office is by using floating wall shelves. This is a cool way to help you improving the work area visually without sacrificing on the need for storage capacity. By maximizing vertical space, you will take up less floor space. There are many brilliant home office decorating ideas featuring the use of floating shelving units that you can use as your reference.